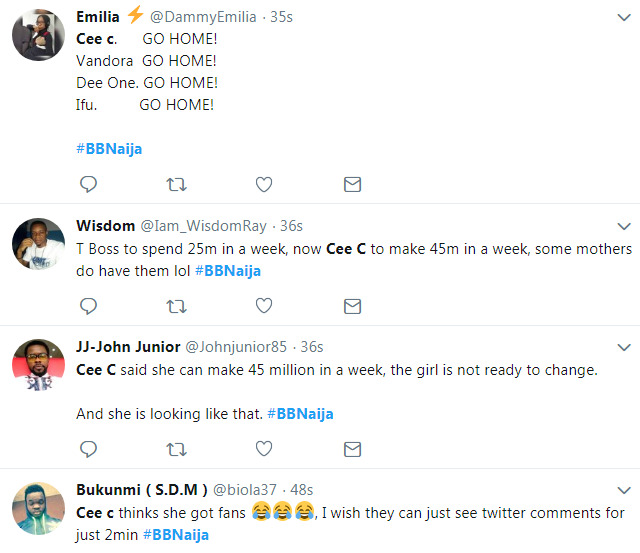 First of all, which kind name be Cee C? 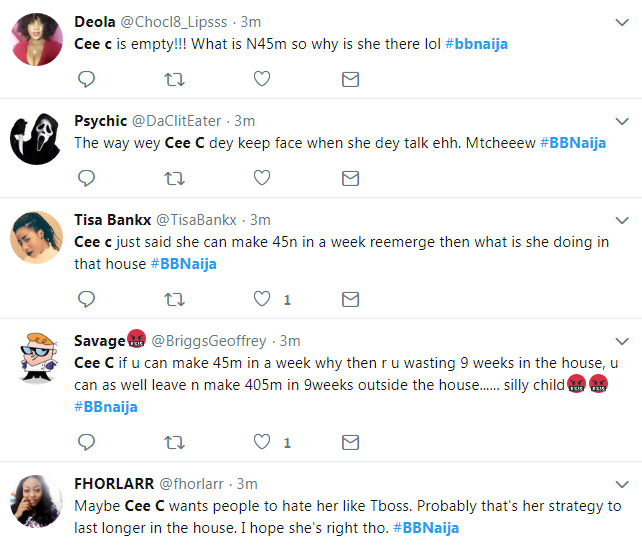 Why must ladies live their lives like this? 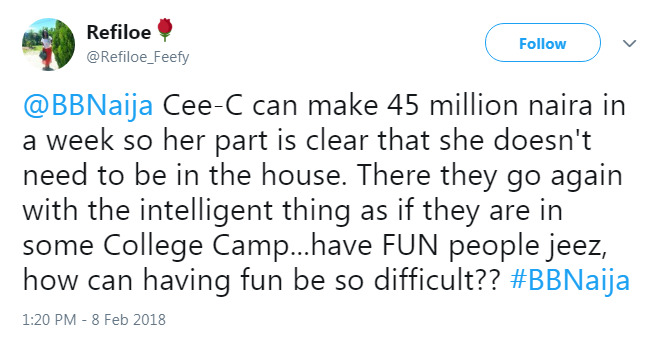 Why they damn fake lives? 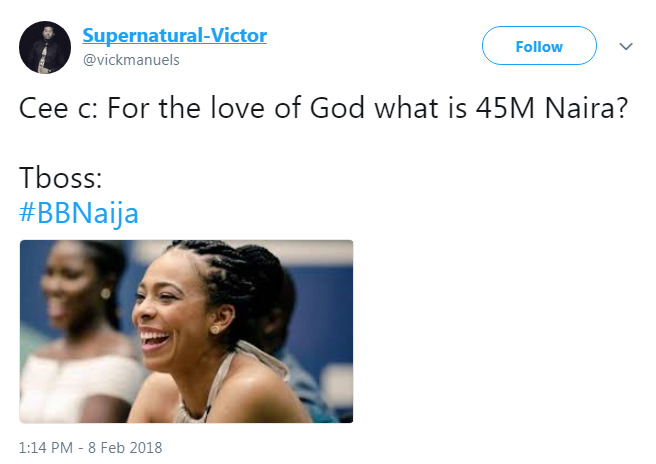 Can't they just cut their coats according their cloths? 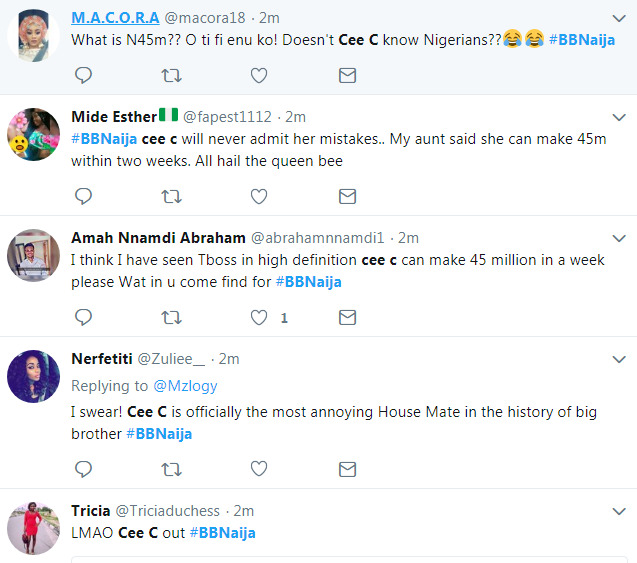 2017 Big Brother Nigeria it was Tboss now 2018 Big Brother Nigeria na Cee C. Oo Chineke. 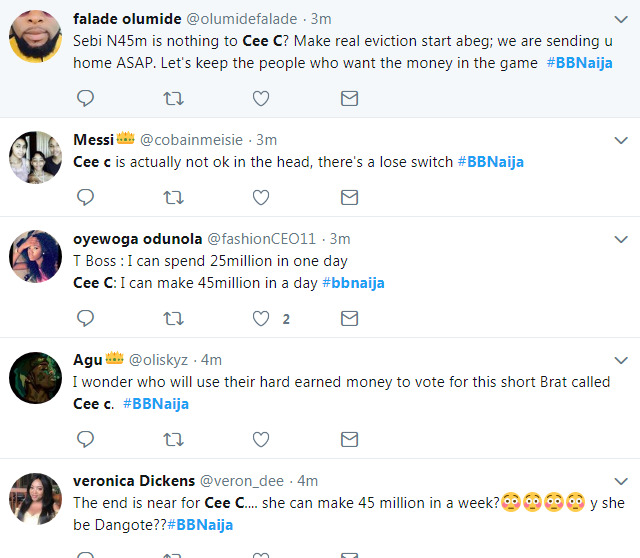 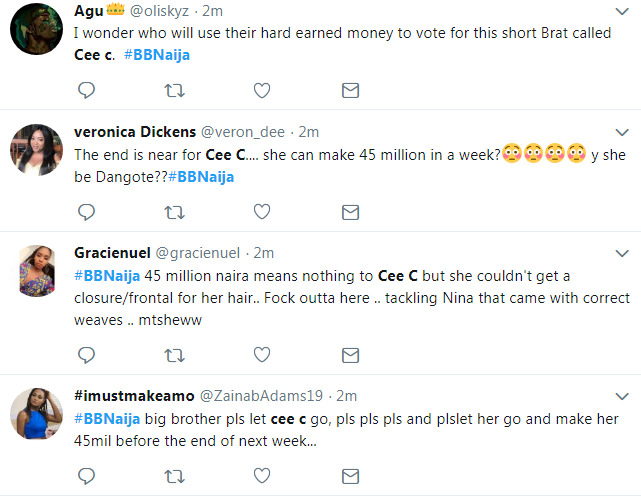 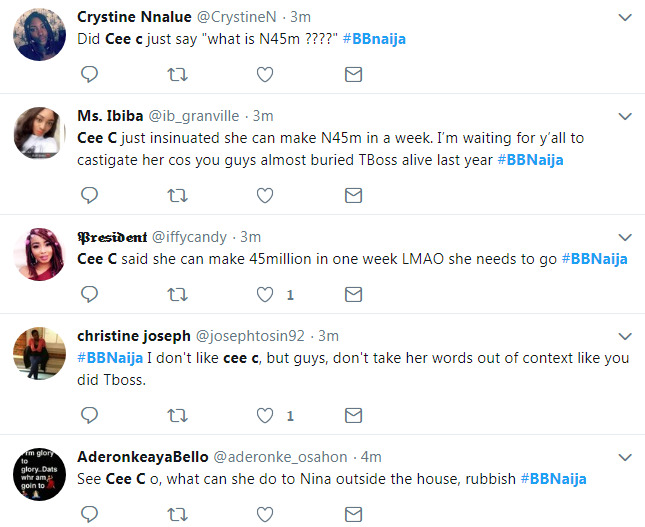 TBoss statement in the 2017 Big Brother Nigeria show was that she can finish the grand prize of N40m if she wins they show and now 2018 Big Brother Nigeria housemate, Cee C have also alienated Twitter users by saying she can make N45m in one week. 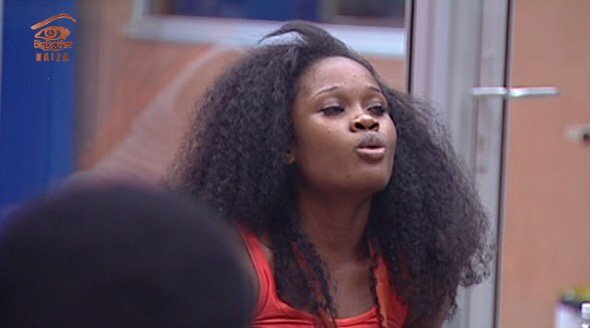 The housemates lost their wager this evening because of their 'unseriousness' and lack of entertainment. 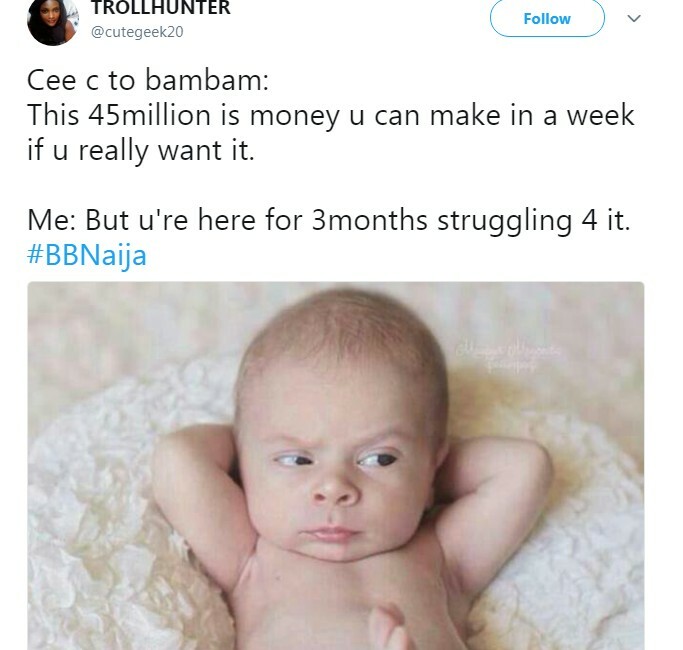 Then Cee C while having a conversation with Bam Bam after this said N45 million is nothing and she can make that in one week after the house.